Renewable energy, also called alternative energy, is really a simple concept. It is energy in the form of a natural resource that is inexhaustible. 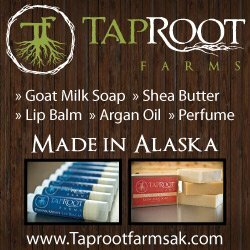 It produces something you need but without the side effects caused by a non renewable source. Here are some of it's commendable traits. The most obvious benefit of using a renewable resource for energy is that it produces no by products and it will never diminish. WOW, This is great! We can use power from the sun and harness the wind currents and not harm anyone in the process. There will be no coal dust blowing in their windows and we are not planting drums of toxic waste in our backyard. No one is falling sick just so we can power our computer, refrigerator, freezer or television. Enormous sections of land do not have to be sacrificed to the hands of desolation and pollution just so these resources can be obtained. With the rising cost of fossil fuels and dwindling supply, using renewable resources have become the solution. The price of fuel will continue to rise as its sources become depleted. While an alternative energy system has a high up-front cost it will also create a buffer from these price fluctuations. One of the many problems with relying so heavily on fossil fuels for electricity is that they are just a short term solution to a long term problem. So, you don't think we can ever replace fossil fuels with renewable energy? Well, it's not only feasible it has already been done! For example, Norway is 99% reliant upon renewable energy to meet there needs! As a matter of fact they don't have any petroleum powered power plants and export almost all of there oil. Many other countries have already taken that first step towards energy independence too. The technology and renewable resources needed to build a sustainable economy are already available to you. The simplest and most reliable being solar power. there is plenty of sunshine to go around for everyone interested in receiving it! It seems silly to not use the most abundant forms of energy available to us. And the best part is, nobody owns it neither can anyone keep you from using it! The choice is up to YOU! Return to Home Page From Why Renewable Energy? 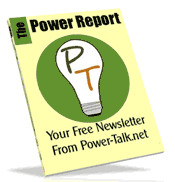 Subscribe to our Free occasional newsletter, "The Power Report". Learn about new RE products and energy saving tips. Plus, you will stay up to date on new info at Power-Talk.net! I promise to use it only to send you The Power Report.